As a writer I am, and always have been, passionate about literature – both reading and writing. As a child I could always be found with a pen in my hand or curled up with a book, and over the years I have found a real creative, and often therapeutic, outlet in writing. My girls are very much the same and love nothing more than writing stories and reading books. Last year when the Premier League Writing Stars Competition first launched, I thought it was an amazing idea to really encourage school aged children to take an interest in poetry. This year the theme is diversity, inspired by the poem written specially for this competition, Beautifully different, Wonderfully the same by Joseph Coelho, as recited below. 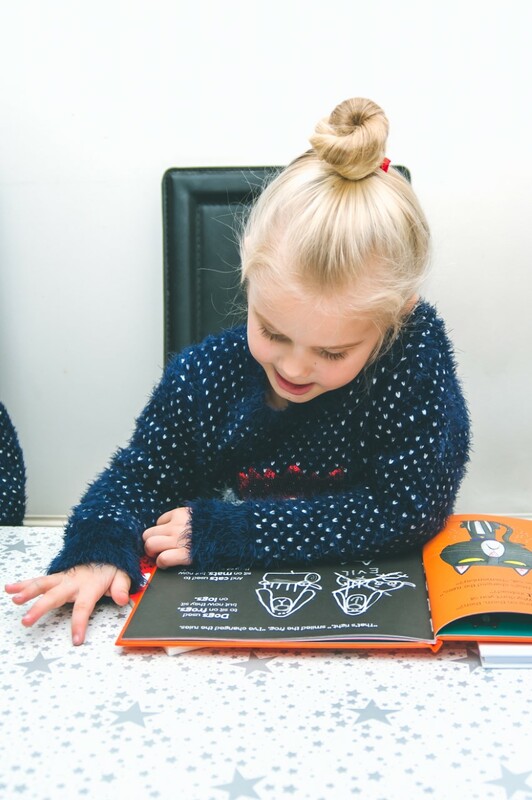 Supported by bespoke teaching resources, and inspired by football, children are encouraged to explore and celebrate the importance of differences and similarities, values that, as a parent, I believe is paramount to instil in our children. There are also some amazing goody bags full to the brim with poetry books up for grabs for the first 1000 schools who submit entries. We were lucky enough to read one and the books are just perfect and so beautifully illustrated. 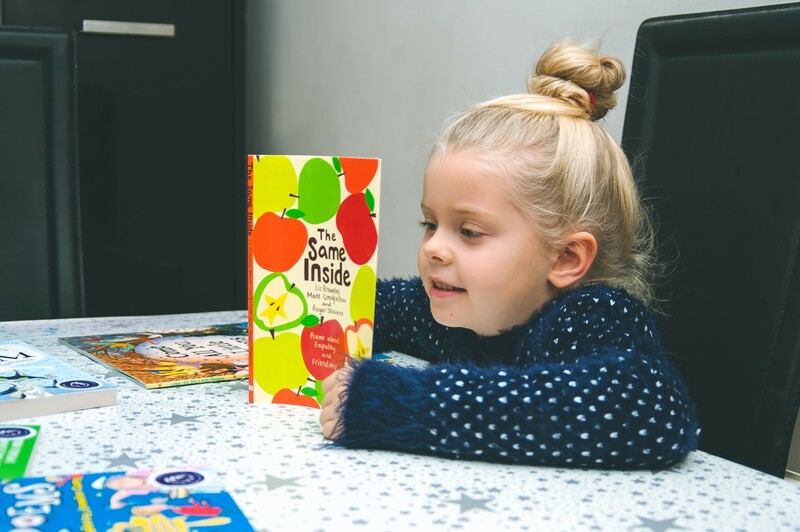 I love that the judging panel for Primary Stars includes former Premier League footballer Rio Ferdinand, singer and songwriter Olly Murs, Waterstones’s children’s Laureate Lauren Child, and poet Joseph Coelho. I think it’s a great idea to use popular celebrities and sporting figures to target those children who are perhaps a little less interested in academic subjects, and use the appeal of football to inspire children to learn, be active, and develop important life skills. 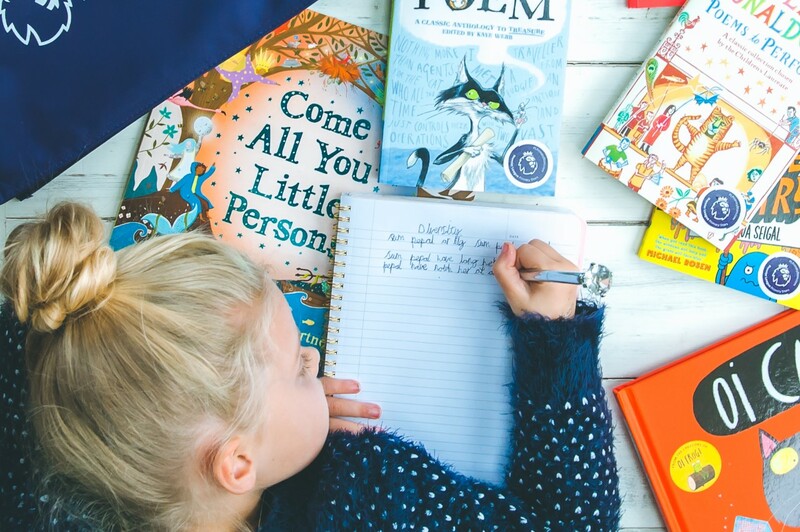 Poetry is such a great way for children to learn to express themselves and I love that it is completely open to interpretation, something which was hugely apparent when my girls sat down to write their own poems. 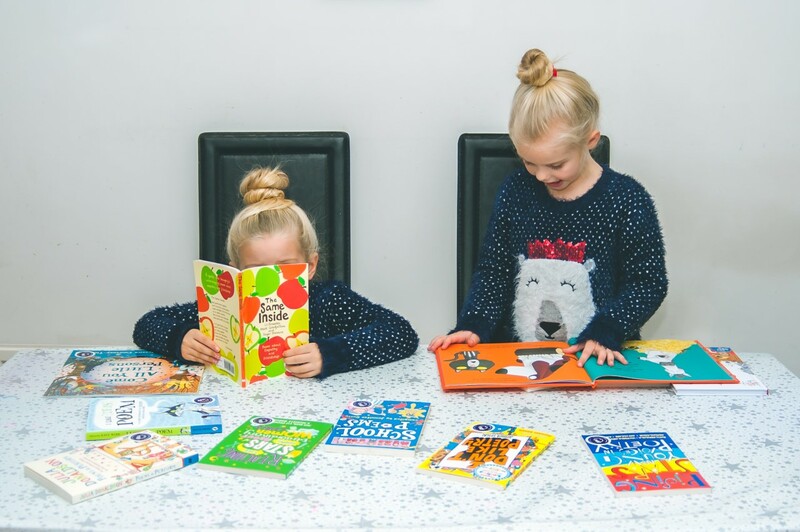 At five and six, my girls approached their poems very differently and, where as Megan’s poem was very fluid and whimsical, Eva’s was far more structured with a great deal of thought into using rhyme. Writing Stars is part of the Premier League Primary Stars education programme, which currently engages more than 16000 primary schools in England and Wales, and teachers have access to free-curriculum linked resources via the PLPrimaryStars.com website. If your children’s school does not currently take advantage of this, you can encourage your child’s teacher to sign up or the Writing Stars competition here where all entries must be submitted before 21st December. What a lovely way to show young readers the importance of connecting with others. Love the cover of the Apples book. Too cute. Isn’t it just? 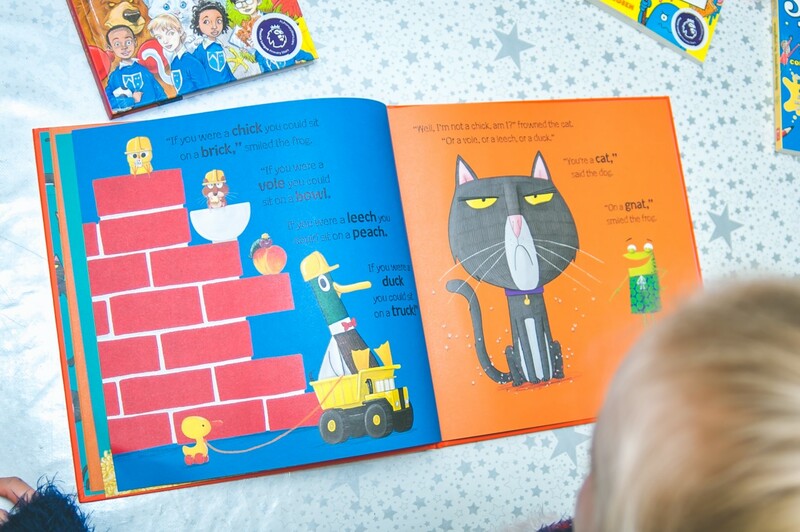 It’s is important to really get a child’s interest in literature at a young age! I love this idea! I have been writing since I was very young so I would have definitely entered this contest if I could have. The theme is the best part! Such a wonderful article! I think what you’re suggesting is so powerful and necessary for our kids! This sounds like such a beautiful idea with such a great message. I love encouraging children to be creative and I think that this fosters that perfectly. This is wonderful! Encouraging creativity, learning and diversity! This seems like such a wonderful things that I wish I would have known about earlier. I needed these last month. My daughter had to do a poem for her class and we had such a hard time finding a poem for her age group. This is great and I love encouraging learning and diversity. I love this! My son LOVES to write but I hadn’t thought to really introduce him to poetry. He usually creates short stories. I will have to bring this up to him. You are doing such a commendable work encouraging children to write poetry. This will go a long way in shaping their interests in life. Children learn more by reading and writing. Those books are really wonderful. I would like to buy them for my kids. I have been promoting this too. Such a great incentive for children to get involved with, my kids love to write so it will encourage them to let out their creative side. I love this. I used to love writing poems and short stories when I was younger. Theme is great too. All the best to those that enter! Poetry is a great form of writing. I love what Premier League Writing is doing for the kids! This sounds like such a great idea – what a smart way to make reading and writing fun. Wow, that’s a nice, not only that they would know about how to rhyme, it may also lead them to making stories and eventually may be blogger too. I love this! I think children and reading is being put aside in general. We need more of this! This sounds so great. I love it when I see kids reading and writing. My daughters love both, and I’m so glad for that. Such a great way of inspiring creativity and a love of poetry in children with some great prizes up for grabs too! If I only got my kids books for every holiday and birthday, they would be thrilled. I love to watch their passion for reading and the arts. Books books and more books. I say, filled our children up with as many as you can afford. This looks like it is such a great program to get kiddos reading. It is so important for them to start young. I have never heard of Premier League but it is such a great gift idea. Children should start reading and writing at an early age. This is so great. It is important to start it young so it is normal, not a new thing to adapt to. Luckily both my boys love reading however some of their friends won’t even pick up a book. I think it’s so important to start reading young. I absolutely love raising readers, promoting the arts and inspiring future writers! This is incredible! Thank you for sharing it. What a great campaign. I love the message here. My kids love reading books a lot. This is such a great initiative to get your kids creative writing juice flowing! I love that there are prizes to be won as well. I just love seeing kids reading books. And I love your advocacy. I hope this continues. This is such a great initiative by the organizer to encourage children to participate in poem writing competitions. I like to think writing as a way to express oneself and poetry writing is just awesome. Keep up with the good job and continue to instill reading writing habits on your kids. I have not heard of this program before. It does sound wonderful. I think any program that supports kids to read and write is wonderful. I also agree that it is great to see celebrities and athletes sponsoring these amazing educational opportunities. Thank you for sharing the link I think it’s awesome. Song writers are living proof of how self expressions through poems could help one with confidence and mental health. What a great way to encourage kids to write and also to understand diversity. This is such a great initiative. I had never heard of it before, thanks for sharing! Love this campaign Premier League Primary Stars. Kids learn a lot of things. Looks like a great initiative. Thanks for sharing it. I love this, I’m going to pop into school later to see if they know about it as I think it would be brilliant for the children. I love reading and I love when kids do as well. it’s such a great building block for later in life. I love the titles of these books. They look like great reads for little ones and I love how they celebrate diversity. We need more of this. Great cause and fantastic book selection! We have Oi Cat too and it has been a firm star of our book collection for months! It’s so important to start children young with reading and writing. I read with mine every night until they fell asleep. They have a love of reading still to this day. This is great. I love things that strive for children’s creativity. I wish I had this competition in the US when I was a kid. This sounds like such an amazing idea! What a great way to make reading and writing more enjoyable! 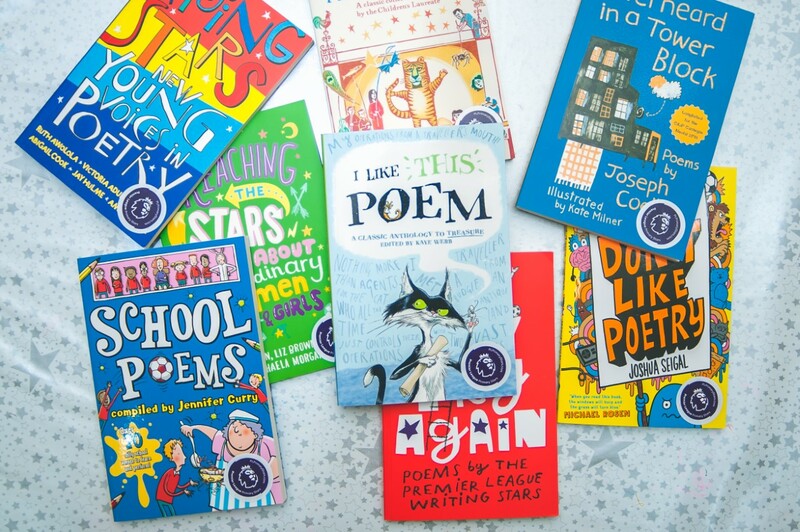 What a brilliant way to get kids interested in poetry, this is such a great idea. Lovely photos. This campaign sounds like such a good idea, I love that some big names have got involved too! I had never heard of this before today, but what a great campaign! It’s so important to nurture reading and writing in children. Sounds like a very interesting campaign. A great way to make reading and writing be enjoyable for children. Aww, I would love to see and read their poems. A 5 and 6 year olds’ poems must be the sweetest to read. Such a great competition. Honing kids as early as possible is the best way to expose them. This is a good idea to let them be interested on literature while they are young. It’s cool to see kids learn diversity at a very young age. My son loves football, but isn’t as keen on English so this would be a great way to get him thinking about poetry! This is such a fun and unique post! My girls are readers, especially Meme – I just love watching her get completely lost in a good book. This is such an amazing campaign! This sounds like a lovely little competition for children to enter and I love the theme choice. Great prizes too and, I agree, popular celebrity judges is a great idea. We are also supporting this Campaign too. I’m so excited for this year poets. It’s going to be AMAZING!! Love this idea. And anything that gets little ones reading more.